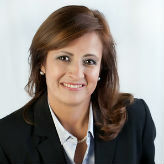 Jackie has been a licensed real estate agent in Houston Texas since 2007. She moved to Houston in 2004 with her Husband and kids and loves living in this wonderful and diverse city. Her experience in the real estate industry includes commercial, relocation, apartment/condo rentals, home rentals and sales. Before she moved to Houston she lived in Florida and had her real estate license for 5 years. She is bilingual in English and Spanish, and has extensive experience with the Hispanic market helping with various government programs and REOs. Her keen attention to detail means her clients can depend on her knowledge, support and guidance every step of the way. She takes pride in her work and truly loves what she does. She strives to make your search for your new home go as smoothly as possible and she is confident that she can help you find the place for you and your family.